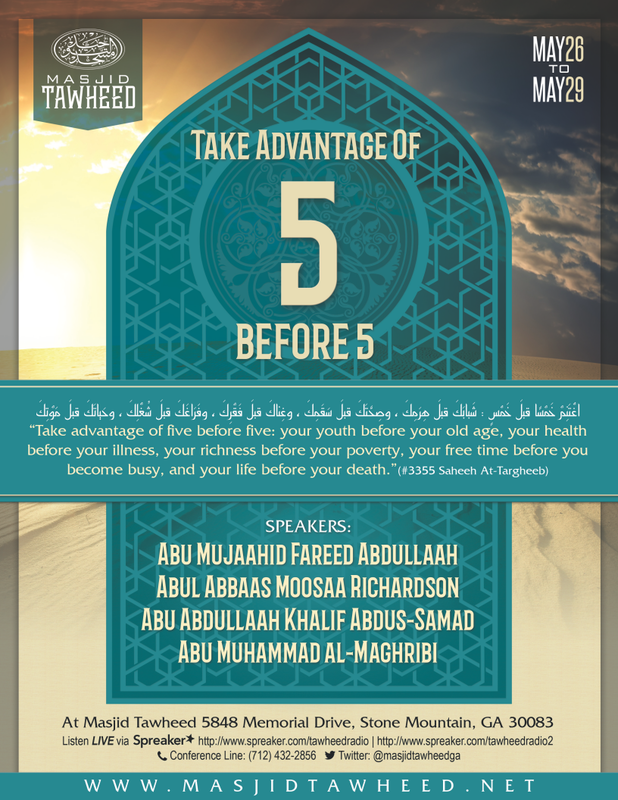 Masjid Tawheed hosts seminars with respected scholars and students of knowledge throughout the year. Click on the flyers below to listen to recordings from our past seminars. Educational seminar on the topic of preparation for Ramadan. 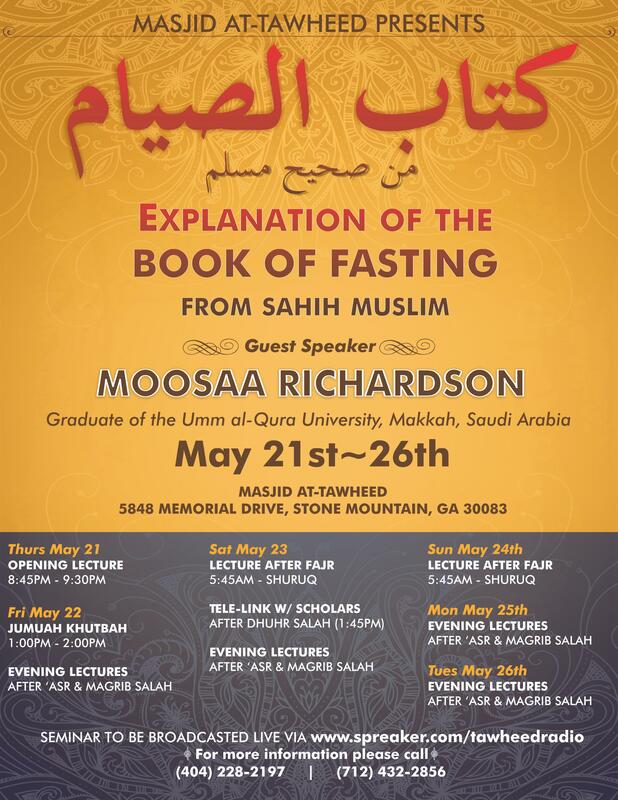 Readings from the "Book of Fasting" in Saheeh Muslim.